There are a lot of neat things going on in deep reinforcement learning. One of the coolest things from last year was OpenAI and DeepMind’s work on training an agent using feedback from a human rather than a classical reward signal. There’s a great blog post about it at Learning from Human Preferences, and the original paper is at Deep Reinforcement Learning from Human Preferences. Learn some deep reinforcement learning, and you too can train a noodle to do backflip. From Learning from Human Preferences. I’ve seen a few recommendations that reproducing papers is a good way of levelling up machine learning skills, and I decided this could be an interesting one to try with. It was indeed a super fun project, and I’m happy to have tackled it - but looking back, I realise it wasn’t exactly the experience I thought it would be. If you’re thinking about reproducing papers too, here are some notes on what surprised me about working with deep RL. First, in general, reinforcement learning turned out to be a lot trickier than expected. A big part of it is that right now, reinforcement learning is really sensitive. There are a lot of details to get just right, and if you don’t get them right, it can be difficult to diagnose where you’ve gone wrong. Example 1: after finishing the basic implementation, training runs just weren’t succeeding. I had all sorts of ideas about what the problem might be, but after a couple of months of head scratching, it turned out to be because of problems with normalization of rewards and pixel data at a key stage1. 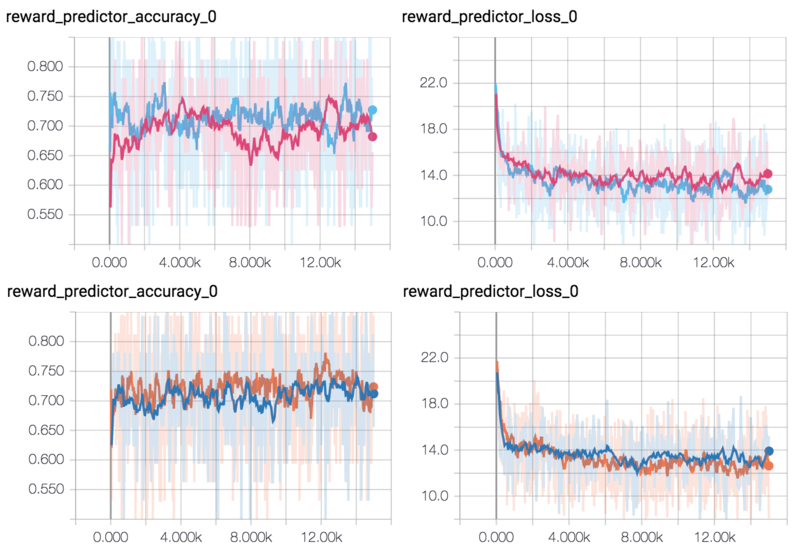 Even with the benefit of hindsight, there were no obvious clues pointing in that direction: the accuracy of the reward predictor network the pixel data went into was just fine, and it took a long time to occur to me to examine the rewards predicted carefully enough to notice the reward normalization bug. Figuring out what the problem was happened almost accidentally, noticing a small inconsistency that eventually lead to the right path. Example 2: doing a final code cleanup, I realised I’d implemented dropout kind of wrong. The reward predictor network takes as input a pair of video clips, each processed identically by two networks with shared weights. If you add dropout and you’re not careful about giving it the same random seed in each network, you’ll drop out differently for each network, so the video clips won’t be processed identically. As it turned out, though, fixing it completely broke training, despite prediction accuracy of the network looking exactly the same! Spot which one is broken. Yeah, I don't see it either. I get the impression this is a pretty common story (e.g. Deep Reinforcement Learning Doesn’t Work Yet). My takeaway is that, starting a reinforcement learning project, you should expect to get stuck like you get stuck on a math problem. It’s not like my experience of programming in general so far where you get stuck but there’s usually a clear trail to follow and you can get unstuck within a couple of days at most. It’s more like when you’re trying to solve a puzzle, there are no clear inroads into the problem, and the only way to proceed is to try things until you find the key piece of evidence or get the key spark that lets you figure it out. A corollary is to try and be as sensitive as possible in noticing confusion. There were a lot of points in this project where the only clues came from noticing some small thing that didn’t make sense. For example, at some point it turned out that taking the difference between frames as features made things work much better. It was tempting to just forge ahead with the new features, but I realised I was confused about why it made such a big difference for the simple environment I was working with back then. It was only by following that confusion and realising that taking the difference between frames zeroed out the background that gave the hint of a problem with normalization. Develop the habit of following through on confusion. There are some sources of discomfort that it can be better to ignore in the moment (e.g. code smell while prototyping), but confusion isn’t one of them. It seems important to really commit yourself to always investigate whenever you notice confusion. Speaking of differences to past programming experiences, a second major learning experience was the difference in mindset required for working with long iteration times. Gather evidence about what the problem might be. Form hypotheses about the problem based on the evidence you have so far. Choose the most likely hypothesis, implement a fix, and see what happens. In most of the programming I’ve done before, I’ve been used to rapid feedback. If something doesn’t work, you can make a change and see what difference it makes within seconds or minutes. Gathering evidence is very cheap. In fact, in rapid-feedback situations, gathering evidence can be a lot cheaper than forming hypotheses. Why spend 15 minutes carefully considering everything that could be causing what you see when you can check the first idea that jumps to mind in a fraction of that (and gather more evidence in the process)? To put it another way: if you have rapid feedback, you can narrow down the hypothesis space a lot faster by trying things than thinking carefully. If you keep that strategy when each run takes 10 hours, though, you can easily waste a lot of time. Last run didn’t work? OK, I think it’s this thing. Let’s set off another run to check. Coming back the next morning: still doesn’t work? OK, maybe it’s this other thing. Let’s set off another run. A week later, you still haven’t solved the problem. Doing multiple runs at the same time, each trying a different thing, can help to some extent, but a) unless you have access to a cluster you can end up racking up a lot of costs on cloud compute (see below), and b) because of the kinds of difficulties with reinforcement learning mentioned above, if you try to iterate too quickly, you might never realise what kind of evidence you actually need. Switching from experimenting a lot and thinking a little to experimenting a little and thinking a lot was a key turnaround in productivity. When debugging with long iteration times, you really need to pour time into the hypothesis-forming step - thinking about what all the possibilities are, how likely they seem on their own, and how likely they seem in light of everything you’ve seen so far. Spend as much time as you need, even if it takes 30 minutes, or an hour. Reserve experiments for once you’ve fleshed out the hypothesis space as thoroughly as possible and know which pieces of evidence would allow you to best distinguish between the different possibilities. Log 1: what specific output am I working on right now? I started out with relatively sparse logs, but towards the end of the project my attitude moved more towards “log absolutely everything going through my head”. The overhead was significant, but I think it was worth it - partly because some debugging required cross-referencing results and thoughts that were days or weeks apart, and partly for (at least, this is my impression) general improvements in thinking quality from the massive upgrade to effective mental RAM. In terms of getting the most out of the experiments you do run, there are two things I started experimenting with towards the end of the project which seem like they could be helpful in the future. First, adopting an attitude of log all the metrics you can to maximise the amount of evidence you gather on each run. There are obvious metrics like training/validation accuracy, but it might also be worth spending a good chunk of time at the start of the project brainstorming and researching which other metrics might be important for diagnosing potential problems. For every important component in the system, consider what can be measured about it. If there’s a database, measure how quickly it’s growing in size. If there’s a queue, measure how quickly items are being processed. Similarly, consider profiling memory usage of different components. Small memory leaks can be indicative of all sorts of things. Another strategy is to look at what other people are measuring. In the context of deep reinforcement learning, John Schulman has some good tips in his Nuts and Bolts of Deep RL talk (slides; summary notes). For policy gradient methods, I’ve found policy entropy in particular to be a good indicator of whether training is going anywhere - much more sensitive than per-episode rewards. Examples of unhealthy and healthy policy entropy graphs. Failure mode 1 (left): convergence to constant entropy (random choice among a subset of actions). Failure mode 2 (centre): convergence to zero entropy (choosing the same action every time). Right: policy entropy from a successful Pong training run. 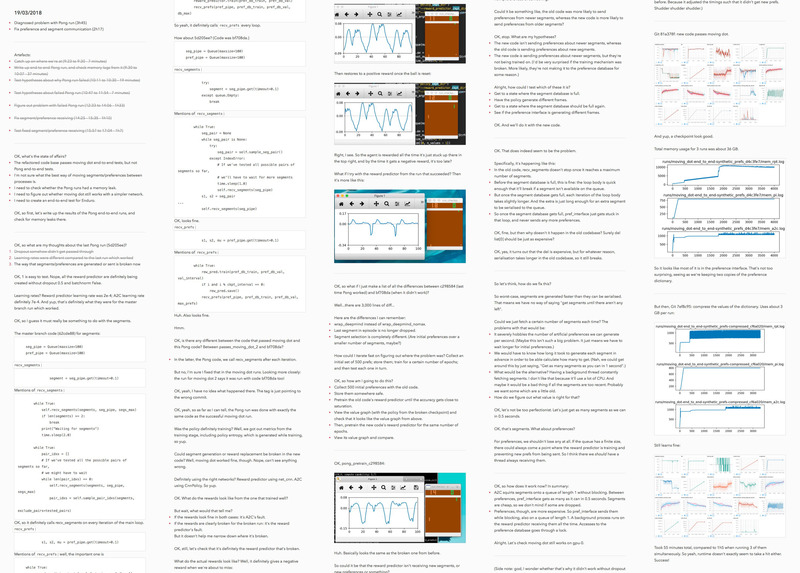 Debugging is much easier if you can see all your metrics in one place. I like to have as much as possible on TensorBoard. Logging arbitrary metrics with TensorFlow can be awkward, though, so consider checking out easy-tf-log, which provides an easy tflog(key, value) interface without any extra setup. A second thing that seems promising for getting more out of runs is taking the time to try and predict failure in advance. Thanks to hindsight bias, failures often seem obvious in retrospect. But the really frustrating thing is when the failure mode is obvious before you’ve even observed what it was. You know when you’ve set off a run, you come back the next day, you see it’s failed, and even before you’ve investigated, you realise, “Oh, it must have been because I forgot to set the frobulator”? That’s what I’m talking about. Fix whatever comes to mind. Repeat until the answer to question 1 is “very surprised” (or at least “as surprised as I can get”). There are always going to be failures you couldn’t have predicted, and sometimes you still miss obvious things, but this does at least seem to cut down on the number of times something fails in a way you feel really stupid for not having thought of earlier. 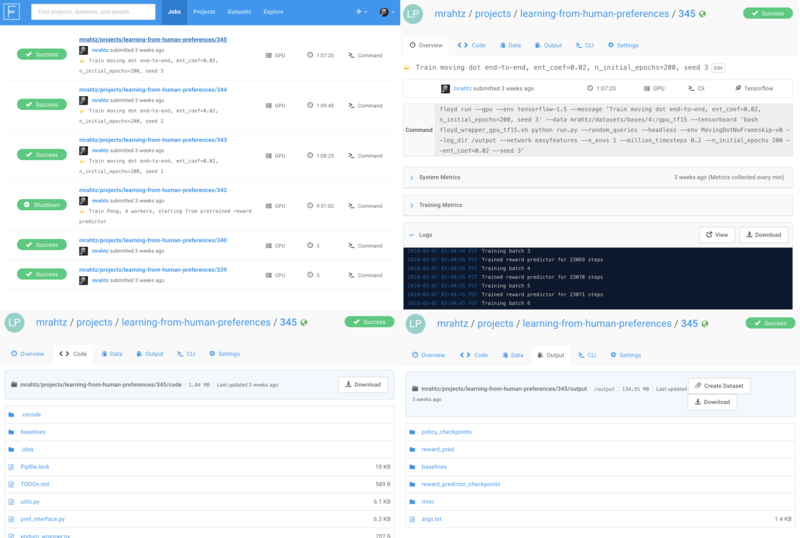 Finally, though, the biggest surprise with this project was just how long it took - and related, the amount of compute resources it needed. The first surprise was in terms of calendar time. My original estimate was that as a side project it would take about 3 months. It actually took around 8 months. (And the original estimate was supposed to be pessimistic!) Some of that was down to underestimating how many hours each stage would take, but a big chunk of the underestimate was failing to anticipate other things coming up outside the project. It’s hard to say how well this generalises, but for side projects, taking your original (already pessimistic) time estimates and doubling them might not be a bad rule-of-thumb. Here’s how long each stage actually took. Another surprise was the amount of compute time needed. I was lucky having access to my university’s cluster - only CPU machines, but that was fine for some tasks. For work which needed a GPU (e.g. to iterate quickly on some small part) or when the cluster was too busy, I experimented with two cloud services: VMs on Google Cloud Compute Engine, and FloydHub. Each run is automatically archived. For each run, the code used, the exact command used to start the run, any command-line output, and any data outputs are saved automatically, and indexed through a web interface. FloydHub's web interface. Top: index of past runs, and overview of a single run. Bottom: both the code used for each run and any data output from the run are automatically archived. I can’t stress enough how important that second feature is. For any project this long, detailed records of what you’ve tried and the ability to reproduce past experiments are an absolute must. Version control software can help, but a) managing large outputs can be painful, and b) requires extreme diligence. (For example, if you’ve set off some runs, then make a small change and launch another run, when you commit the results of the first runs, is it going to be clear which code was used?) You could take careful notes or roll your own system, but with FloydHub, it just works and you save so much mental energy. Containers are automatically shut down once the run is finished. Not having to worry about checking runs to see whether they’ve finished and the VM can be turned off is a big relief. Billing is much more straightforward than with cloud VMs. You pay for usage in, say, 10-hour blocks, and you’re charged immediately. That makes keeping weekly budgets much easier. The one pain point I’ve had with FloydHub is that you can’t customize containers. If your code has a lot of dependencies, you’ll need to install them at the start of every run. That limits the rate at which you can iterate on short runs. You can get around this, though, by creating a ‘dataset’ which contains the changes to the filesystem from installing dependencies, then copying files from that dataset at the start of each run (e.g. create_floyd_base.sh). It’s awkward, but still probably less awkward than having to deal with GPU drivers. FloydHub is a little more expensive than Compute Engine: as of writing, $1.20/hour for a machine with a K80 GPU, compared to about $0.85/hour for a similarly-specced VM (though less if you don’t need as much as 61 GB of RAM). Unless your budget is really limited, I think the extra convenience of FloydHub is worth it. The only case where Compute Engine can be a lot cheaper is doing a lot of runs in parallel, which you can stack up on a single large VM. and 1,500 hours (wall time, 4 to 16 cores) of CPU time on my university’s cluster. I was horrified to realise that in total, that added up to about $850 ($200 on FloydHub, $650 on Compute Engine) over the 8 months of the project. Some of that’s down to me being ham-fisted (see the above section on mindset for slow iteration). Some of it’s down to the fact that reinforcement learning is still so sample-inefficient that runs do just take a long time (up to 10 hours to train a Pong agent that beats the computer every time). But a big chunk of it was down to a horrible surprise I had during the final stages of the project: reinforcement learning can be so unstable that you need to repeat every run multiple times with different seeds to be confident. For example, once I thought everything was basically working, I sat down to make end-to-end tests for the environments I’d been working with. But I was having trouble getting even the simplest environment I’d been working with, training a dot to move to the centre of a square, to train successfully. I went back to the FloydHub job that had originally worked and re-ran three copies. It turned out that the hyperparameters I thought were fine actually only succeeded one out of three times. It's not uncommon for two out of three random seeds (red/blue) to fail. Using A3C with 16 workers, Pong would take about 10 hours to train. That’s 160 hours of CPU time. Running 3 random seeds, that 480 hours (20 days) of CPU time. FloydHub charges about $0.50 per hour for an 8-core machine. So 10 hours costs about $5 per run. Running 3 different random seeds at the same time, that’s $15 per run. That’s, like, 3 sandwiches every time you want to test an idea. My point here is that if you want to tackle a deep reinforcement learning project, make sure you know what you’re getting yourself into. Make sure you’re prepared for how much time it could take and how much it might cost. Overall, reproducing a reinforcement learning paper was a fun side project to try. But looking back, thinking about which skills it actually levelled up, I’m also wondering whether reproducing a paper was really the best use of time over the past months. On one hand, I definitely feel like my machine learning engineering ability improved a lot. I feel more confident in being able to recognise common RL implementation mistakes; my workflow got a whole lot better; and from this particular paper I got to learn a bunch about Distributed TensorFlow and asynchronous design in general. On the other hand, I don’t feel like my machine learning research ability improved much (which is, in retrospect, what I was actually aiming for). Rather than implementation, the much more difficult part of research seems to be coming up with ideas that are interesting but also tractable and concrete; ideas which give you the best bang-for-your-buck for the time you do spend implementing. Coming up with interesting ideas seems to be a matter of a) having a large vocabulary of concepts to draw on, and b) having good ‘taste’ for ideas (e.g. what kind of work is likely to be useful to the community). I think a better project for both of those might have been to, say, read influential papers and write summaries and critical analyses of them. So I think my main meta-takeaway from this project is that it’s worth thinking carefully whether you want to level up engineering skills or research skills. Not that there’s no overlap; but if you’re particularly weak on one of them you might be better off with a project specifically targeting that one. If you want to level up both, a better project might be to read papers until you find something you’re really interested in that comes with clean code, and trying to implement an extension to it. If you do want to tackle a deep RL project, here are some more specific things to watch out for. Look for papers with few moving parts. Avoid papers which require multiple parts working together in coordination. If you’re doing anything that involves an RL algorithm as a component in a larger system, don’t try and implement the RL algorithm yourself. It’s a fun challenge, and you’ll learn a lot, but RL is unstable enough at the moment that you’ll never be sure whether your system doesn’t work because of a bug in your RL implementation or because of a bug in your larger system. Before doing anything, see how easily an agent can be trained on your environment with a baseline algorithm. Write end-to-end tests as soon as you think you’ve got something working. Successful training can be more fragile than you expected. If you’re working with OpenAI Gym environments, note that with -v0 environments, 25% of the time, the current action is ignored and the previous action is repeated (to make the environment less deterministic). Use -v4 environments if you don’t want that extra randomness. Also note that environments by default only give you every 4th frame from the emulator, matching the early DeepMind papers. Use NoFrameSkip environments if you don’t want that. For a fully deterministic environment that gives you exactly what the emulator gives you, use e.g. PongNoFrameskip-v4. Because of how long end-to-end tests take to run, you’ll waste a lot of time if you have to do major refactoring later on. Err on the side of implementing things well the first time rather than hacking something up and saving refactoring for later. Initialising a model can easily take ~ 20 seconds. That’s a painful amount of time to waste because of e.g. syntax errors. If you don’t like using IDEs, or you can’t because you’re editing on a server with only shell access, it’s worth investing the time to set up a linter for your editor. (For Vim, I like ALE with both Pylint and Flake8. Though Flake8 is more of a style checker, it can catch some things that Pylint can’t, like wrong arguments to a function.) Either way, every time you hit a stupid error while trying to start a run, invest time in making your linter catch it in the future. It’s not just dropout you have to be careful about implementing in networks with weight-sharing - it’s also batchnorm. Don’t forget there are normalization statistics and extra variables in the network to match. Seeing regular spikes in memory usage while training? It might be that your validation batch size is too large. If you’re seeing strange things when using Adam as an optimizer, it might be because of Adam’s momentum. Try using an optimizer without momentum like RMSprop, or disable Adam’s momentum by setting β1 to zero. If you want to debug what’s happening with some node buried deep in the middle of your graph, check out tf.Print, an identity operation which prints the value of its input every time the graph is run. If you’re saving checkpoints only for inference, you can save a lot of space by omitting optimizer parameters from the set of variables that are saved. session.run() can have a large overhead. Group up multiple calls in a batch wherever possible. If you’re getting out-of-GPU-memory errors when trying to run more than one TensorFlow instance on the same machine, it could just be because one of your instances is trying to reserve all the GPU memory, rather than because your models are too large. This is TensorFlow’s default behaviour. To tell TensorFlow to only reserve the memory it needs, see the allow_growth option. If you want to access the graph from multiple things running at once, it looks like you can access the same graph from multiple threads, but there’s a lock somewhere which only allows one thread at a time to actually do anything. This seems to be distinct from the Python global interpreter lock, which TensorFlow is supposed to release before doing heavy lifting. I’m uncertain about this, and didn’t have time to debug more thoroughly, but if you’re in the same boat, it might be simpler to just use multiple processes and replicate the graph between them with Distributed TensorFlow. # because no supported kernel for GPU devices is available. device = gpu_name if gpu_name else "/cpu:0"
Don’t get addicted to TensorBoard. I’m serious. It’s the perfect example of addiction through unpredictable rewards: most of the time you check how your run is doing and it’s just pootling away, but as training progresses, sometimes you check and all of the sudden - jackpot! It’s doing something super exciting. If you start feeling urges to check TensorBoard every few minutes, it might be worth setting rules for yourself about how often it’s reasonable to check. If you’ve read this far and haven’t been put off, awesome! If you’d like to get into deep RL too, here are some resources for getting started. Andrej Karpathy’s Deep Reinforcement Learning: Pong from Pixels is a great introduction to build motivation and intuition. For more on the theory of reinforcement learning, check out David Silver’s lectures. There isn’t much on deep RL (reinforcement learning using neural networks), but it does teach the vocabulary you’ll need to be able to understand papers. John Schulman’s Nuts and Bolts of Deep RL talk (slides; summary notes) has lots more tips about practical issues you might run into. For a sense of the bigger picture of what’s going on in deep RL at the moment, check out some of these. Alex Irpan’s Deep Reinforcement Learning Doesn’t Work Yet has a great overview of where things are right now. Vlad Mnih’s talk on Recent Advances and Frontiers in Deep RL has more examples of work on some of the problems mentioned in Alex’s post. Sergey Levine’s Deep Robotic Learning talk, with a focus on improving generalization and sample efficiency in robotics. Pieter Abbeel’s Deep Learning for Robotics keynote at NIPS 2017 with some of the more recent tricks in deep RL. 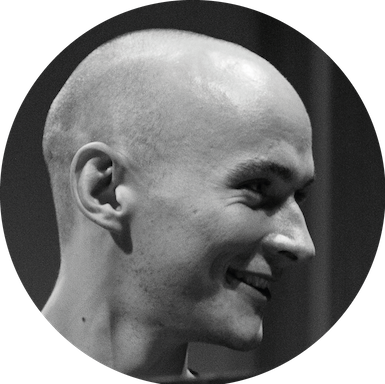 Thanks to Michal Pokorný and Marko Thiel for thoughts on a first draft on this post.